The Armasight Apollo 324-30 is one of the most advanced Thermal Clip-On systems for shooting over the short distance, and which stands above the competition when it comes to clarity, versatility, reliability, function and value. 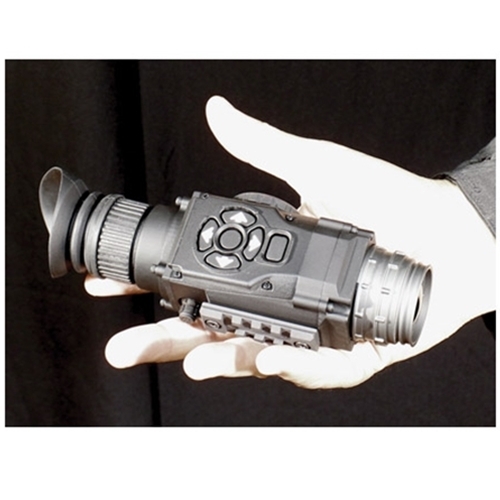 Based on the proven 324x256 (25µm) 30 Hz core, Apollo 324-30 is an ideal product for force protection, border patrol officers, police SWAT officers and special operations forces, providing users with the necessary tools to be successful in both daytime and nighttime field conditions. 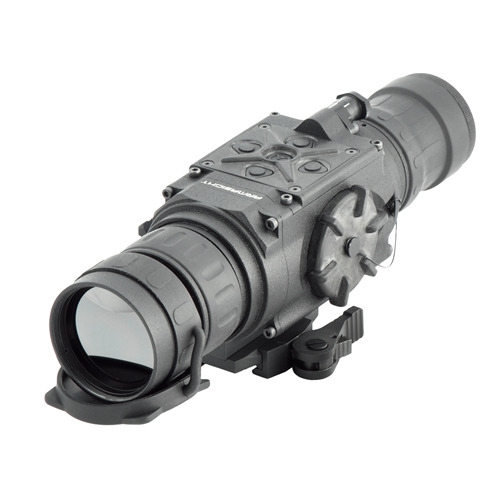 The Armasight Apollo 324-30 converts your existing day Multipurpose Viewer to thermal and provides excellent target acquisition and aiming capabilities for the demanding sports shooter, varmint hunter, military, law enforcement, or security personnel. The Armasight Apollo 324-30 simply mounts in front of your own standard day optical sight. Factory bore sighted to tolerances of less than 1 MOA, no re-zeroing is required. 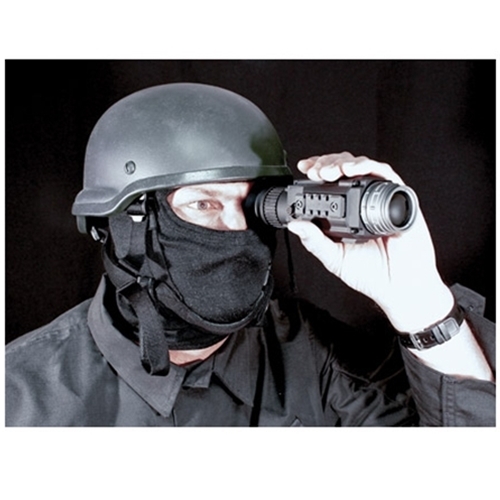 The Apollo 324-30 allows the user to maintain consistent eye relief and shooting position allowing the user to view his own day Multipurpose Viewer’s reticle. A wireless remote control unit can be placed anywhere on the user’s weapon that is convenient, allowing activation of the clip-on quickly and with no fuss. The Armasight Apollo 324-30 is equipped with a locking (but quick-disconnect) mounting system which provides the user with an easy and quick way to attach/detach the device on a standard weaver or Picatinny rail. I bought this for hog hunting. Works great . The manual fails to tell you that you have to set the margins of the screen to make it shoot where your day scope is sighted in.It took some work to get it to where I can shoot with or without the clip-on. I use it on an AR-15 in .223 and AAC .300 B/O with varix-III scope mounted on split picatinny rails. 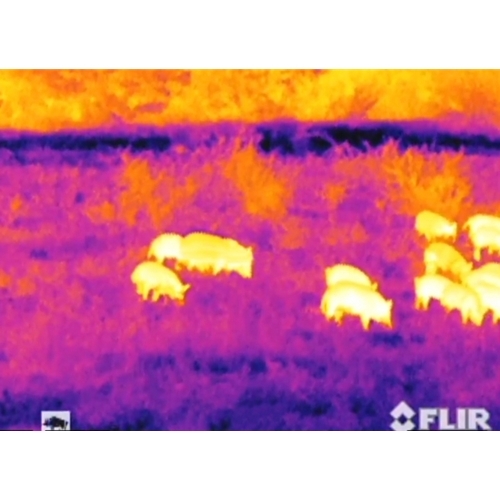 Have killed 6-8 hogs over the last few weeks in temps ranging from 50's-70's at night in central MS and Al. Shot range so far has been 70-110 yds. Image is pretty clear up to 6x on day scope. 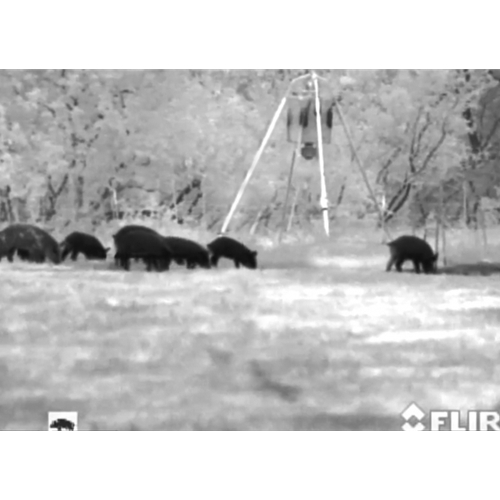 If you have a hog problem it is worth the money.